When I trying to update the Office on my Mac, the Sync Services and Microsoft Office Daemo always can not be closed. That never works even if I clicking the close Applications button, and even when I go into Activity Monitor and try to close the apps, I have to try several times before I can install the update. Is there something else I can try? 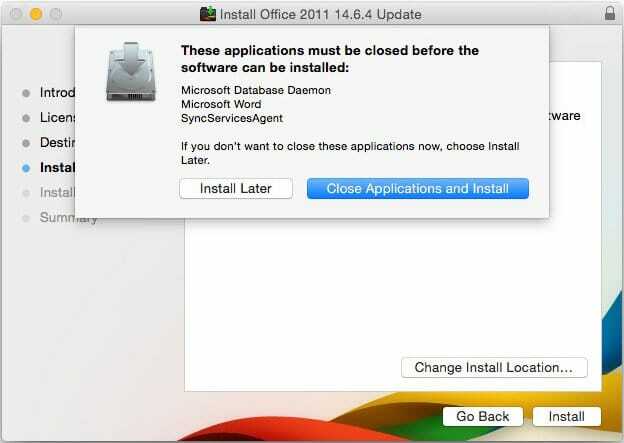 In some versions of the Microsoft Office for Mac suite (including Office for Mac 2011), Sync Services and the Microsoft Database Daemon are two components that work in the background, but still need to be closed to install a program update. Although it has been largely sidelined in recent versions of OS X, the Sync Services tool was intended to help synchronize contacts and calendar data from Microsoft Entourage and Outlook with mobile devices connected to the Mac. The Microsoft Database Daemon is a small utility program used with the suite’s reminders and notifications. Microsoft’s support site suggests turning off the Sync Services function in the Outlook program preferences before quitting Outlook — and then trying to run the Office updater. If that does not work, the company also suggests, as you have done, using the Activity Monitor program in the Utilities folder (which is inside the Mac’s main Applications folder) to select and quit all the Microsoft Office-related processes before trying again to update Office. However, even if you quit a process with the Activity Monitor, it may start up again very quickly and interfere with the updater program. If you see the Microsoft AutoUpdate program throwing up the alert about closing applications again, click its icon in the Mac’s desktop Dock until the pop-up menu appears and choose Keep in Dock; look under the Options menu if you do not see it immediately. Next, go to the Apple Menu in the top-left corner of the Mac’s screen and log out of your account. Log back in again and hold down the Shift key on the keyboard to disable programs that start up with the Mac. Click the updater program’s icon in the Dock and run the update. When it has finished, restart the Mac. If you do not want to see the AutoUpdate program’s icon anymore, you can remove it from the Dock by dragging it to the Trash. 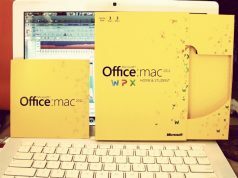 If you are still having problems getting Microsoft Office to update itself, you can find more suggestions from the unofficial OfficeforMacHelp.com site.